At some time during the summer, there will be a day (or many) when it’s rainy or just too hot to be outside. 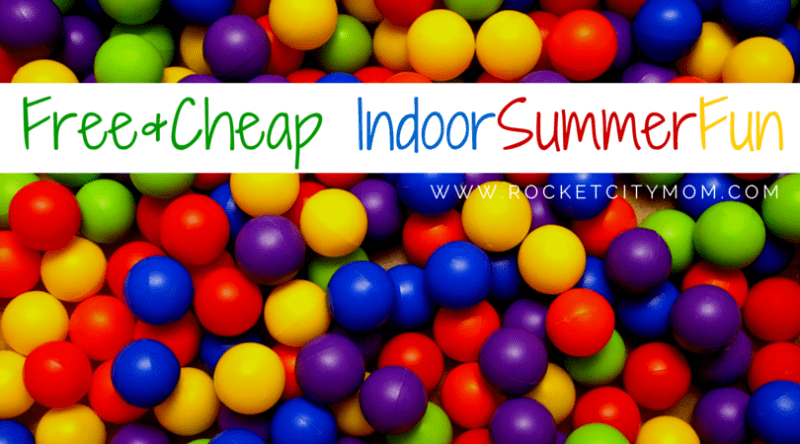 When that happens, here are several great indoor summer fun options in Huntsville. Many are free (or cheap) with special passes and programs just for the summer! For even more FREE family-fun this summer, check out our 2018 Summer Fun Guide. Filled with information on free outdoor concerts, free summer movies, free and cheap outdoor children’s activities, free summer movies, pools and splashpads, and so much more! Your children will not be bored this summer! Stars and Strikes is offering the “Kids Bowl Free” summer program for children ages 15 and under. Sign up your child to receive two free games all summer long. AMF Pin Palace Lanes (Huntsville) and River City Lanes (Decatur) also offer a summer pass for $31.95 that entitles kids 15 and under to 3 free games of bowling per day all summer (May 21 – September 3). 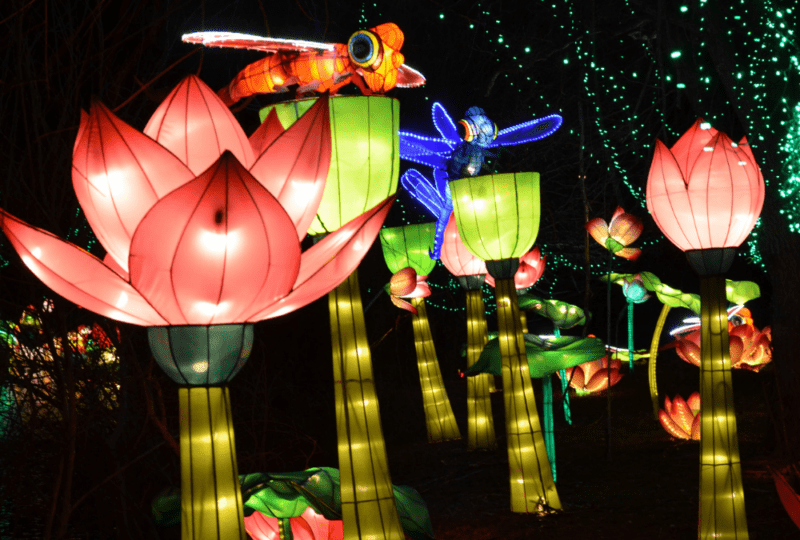 Adults and kids ages 16+ can also purchase passes for $47.95. Shoes are included. Register here. Jr. Chef Classes – These free classes offered at Williams Sonoma are a wonderful way for your school age child to be introduced to the joys of cooking! These tend to fill up fast so don’t delay if you see one your Jr. Chef might be interested in. Sign-up is done via local stores so call (256) 534-2008 to register. Apple Camp – Apple Camp is designed to help spark the imagination of kids ages 8 to 12. They’ll learn to make movies by storyboarding ideas, shooting video, and creating an original soundtrack. Or campers can create interactive books complete with their own illustrations and sound effects. At Apple Camp, kids and their creativity are the focus. Check out more classes for kids and parents right here. Kids’ Club – Michaels offers regular kids craft workshops aimed at children ages 3+ and most have a small fee ($2 for ages 3-5, $5 for ages 6+). Let your kids explore their creativity while you shop! Home Depot Kid Workshops – these monthly workshops are free and usually aimed at school age children 5+ although there are the occasional options for preschoolers. Read our review before you go! Hands down one of our favorite things to do when it’s too hot or rainy. This list is so long we put the whole thing over here, plus we have all the movie theater locations here. MathAlive! is designed to inspire, spark the imagination, and reveal not only math at work but also the endless possibilities of math. Primarily designed for kids in grades 3-8, the exhibition brings to life the real math behind what kids love most – video games, sports, fashion, music, robotics and more – and creates interactive and immersive experiences that bring to life the math at work in each, whether in design, application or use. Guests will ride snowboards in a step-on experience, program the robotic arm from the cupola of the International Space Station, design (and play) their own video games, capture their 360-degree image in a stop-motion video, edit their own video game, and even try their hand at systems engineering for a city. Through 40 unique, interactive experiences, the exhibit takes math from its native form into the applied worlds of design, engineering, technology and science. This weekly family- and dog-friendly event is a local favorite at the U.S. Space & Rocket Center! Enjoy the festive atmosphere with imported and domestic beers and delicious wines from the German region. It’s family-friendly and leashed dogs are welcome on our Apollo Terrace and in Apollo Courtyard. Admission is free, and food and beverages are available for purchase. To support our local community, the U.S. Space & Rocket Center is featuring a nonprofit organization each week, and a portion of food sales that evening will be donated to the organization. Every week, VBAS members and guest speakers present a variety of astronomy related programs from famous astronomers, science fiction and astronomy, historical astronomy, and the history of spaceflight. 2018 features a wide variety of programs focusing on the many probes and telescopes that have been launched to increase our understanding of the solar system and the universe. Other programs sprinkled throughout the year focus on the current night sky, meteors, and comets, just to name a few. It is recommended that you arrive 30 minutes in advance to have time to park and find a seat! Weather permitting, you will have the opportunity to look at some of the wonders of the universe following the planetarium program with the help of the VBAS’s experienced and knowledgeable observing crew. Every year, hundreds of thousands of visitors experience the teeming galleries of the Tennessee Aquarium like stones skipping across a lake. In their rush to see dozens of exhibits and thousands of animals, they cover a lot of ground in a hurry, but they rarely dip too far below the surface. Experienced at such a drive-by pace, it’s easy to miss some of the natural behaviors and amazing interactions that make the Aquarium such a beloved destination for repeat visits. This summer, the return of the Summer Family Pass will let parents and grandparents slow down and peer deeper into these lively exhibits, safe in the knowledge that they can come back as often as they want. Guests will be able to pause and marvel at details like the powerful grip of a Red-ruffed Lemur’s hind feet as it dangles from a branch, the gaping jaws of a filter-feeding Paddlefish or the vibrant colors and busy bustle of the Live Coral tank. The $90 pass will be available only at Chattanooga-area Food City locations through May 31. Pass holders enjoy unlimited daily admission to the Aquarium for two adults and up to five children (ages 18 or younger) through Labor Day, Monday, Sept. 3. We all know reading is FUNdamental & it’s crazy important to keep it up during the summer months. So here are several reading programs to help make sure your child is ready and able when the school year comes around again. Huntsville-Madison County Public Library is ready to show you how much “Libraries Rock!” Join our Summer Reading Club by picking up a packet at your local library. It’s easy and best of all, FREE! All children Preschool through 12th grade may participate in a variety of programs throughout Madison County. From animal programs, martial arts demonstrations, and STEAM-based learning experiences, the library has something for kids of all ages. Summer Reading information will be available for pickup at any branch beginning May 30. See a youth services librarian for more information. To find out more information, pick up a Summer Reading packet at your local branch or visit the HMCPL webpage. As in previous years, Barnes and Noble is offering a free book to every child participates in their Summer Reading Program and records their adventures in a journal you can download from their site. Bring your completed journal to a Barnes & Noble store between May 15th and September 3rd, 2018 to get your free book! Offered year-round, Chuck-E-Cheese reward calendars are just one of many types of incentive programs the big cheese offers to parents as a way of getting them to do all kinds of things (stop picking your nose, clean up your room, use the potty, etc.). Simply download and print out a calendar, mark off the days, bring completed calendar to any Chuck-E-Cheese and receive 10 free tokens. Will you be publishing activities for summer of 2019 soon? i am working in a Parent Engagement Resource Center at an elementary school in Madison County and would love to let parents know about free and inexpensive activities for the summer. If you know where i can get any info to hand out please let me know also!! !